Perhaps you’ve already started to decorate for the holiday season and your shopping is almost done with wrapping next on the to-do list. But with all of this hustle and bustle and holiday parties to attend (or host) every weekend in December, when will you have time to bake? Starting early is the key and with the miracle of freezers, you don’t have to worry about the tasty treats going stale before Christmas even arrives. You have two options here – you can bake a large batch of cookies in advance, freeze them and just ensure they’re thawed in time for the get together; or, you can pre-make the dough and just freeze that. Then when the time comes, thaw the dough, cut it into festive shapes and bake it just before the party. Similarly, you can pre-cut the dough and freeze it in layers so that all you have to do is bake the cookies and serve. Keep in mind that if the cookie dough isn’t fully thawed, you may need to bake it for a bit longer. 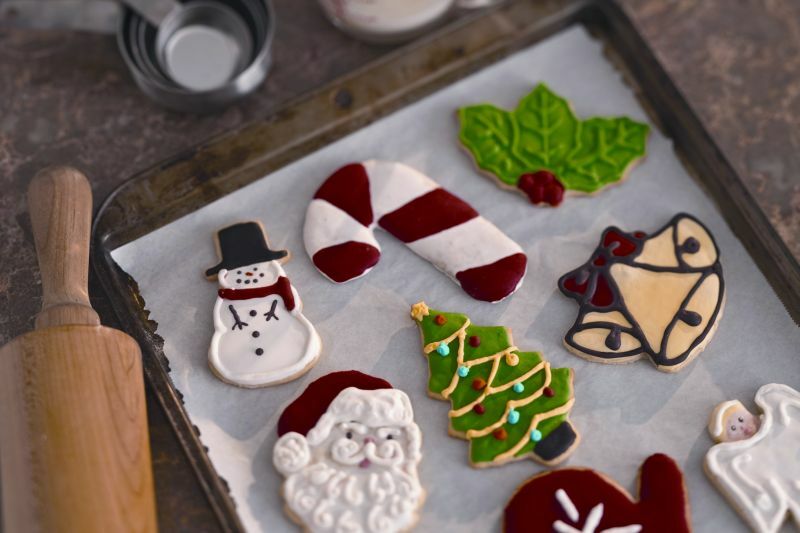 Not only do these tips save you time during this busy season, but baking “fresh” cookies for your guests means that they’ll still be warm when the guests arrive and the aroma of fresh baking will fill your home and add to the festive feeling of the day. Choose your recipes wisely, though, as some cookie recipes work better than others for freezing. For instance, macaroons and anything with egg whites have too delicate a texture for freezing. You can still make such cookies beforehand and store them in airtight containers so they still stay fresh. Though these time saving tips may still leave you with only one cookie variety, you always have the option of hosting a cookie exchange with friends or coworkers so that you only have to make one large batch of your favourite cookies. Then other swap participants would do the same and everyone in the exchange would receive a dozen cookies of each variety. No one even needs to know that you didn’t bake the cookies yourself!